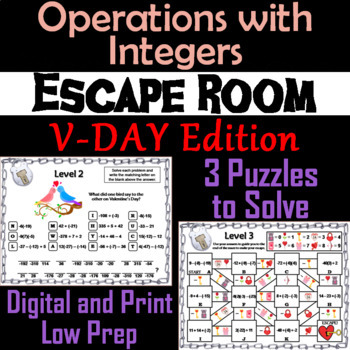 This breakout escape room is a fun way for students to test their skills with adding, subtracting, multiplying and dividing integers, set in a fun Valentine's Day theme. Physical locks and boxes are not required, but they do make it more fun! Check out the preview for more details! Algebra: Get all 56 (50% OFF) in the Bundle! Geometry: Get all 13 (40% OFF) in the Bundle! 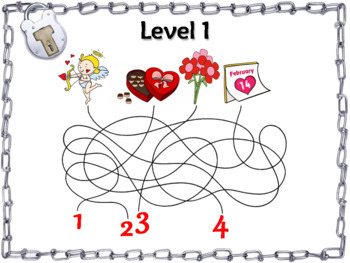 Grades 6-8: Get all 11 (55% OFF) in the Bundle! 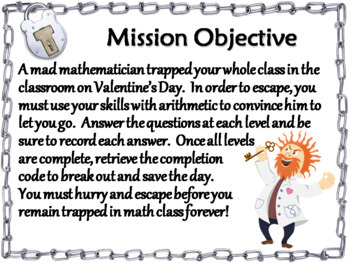 Grades 3-5: Get all 34 (55% OFF) in the Bundle! 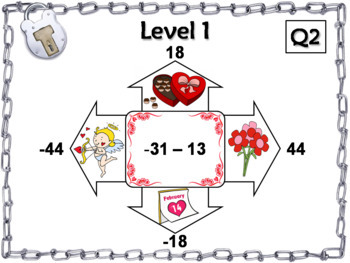 Grades 1-3: Get all 12 (35% OFF) in the Bundle!